It's proven to be the case on more than one occasion. To this point in his career, injuries appear to be the only thing capable of preventing Sidney Crosby from making the NHL his own personal playground. 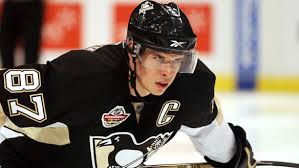 In 2007-08, for example, a high ankle sprain derailed Sid's bid to repeat as the league's scoring champion and Hart Trophy recipient. In 2010-11, "The Kid" began a scoring assault that the NHL hadn't witnessed since the glory days of Mario Lemieux or Wayne Gretzky. That is, until his year was cut short by the infamous concussion issues that would sideline the game's best player for the second half of the season and much of the 2011-12 campaign. If all that wasn't enough, the Pens' captain was robbed of more hardware last year when a Brooks Orpik blast from the point rearranged the structure of Sidney's jaw, knocked out several teeth and cost him the last quarter of the truncated season. Despite the frequent absence of the club's leader and best player, though, the Penguins have never missed a beat. In fact, Pittsburgh didn't finish lower than fourth in the Eastern Conference in any of the four years that Crosby found himself on the shelf for a significant period of time. No, rather than lamenting the loss of the once-in-a-generation talent, the squad buckled down, individuals stepped up and the Penguins found a way to persevere. This year, though, Sidney Crosby may have an opportunity to return the favor. It certainly hasn't taken long for the injury bug to rear its ugly head in Pittsburgh. From Tomas Vokoun's health issues to Rob Scuderi's broken ankle to James Neal's upper body ailment, no part of the Penguins' depleted lineup remains unscathed. Throw in the fact that Beau Bennett has suited up for only five contests, Chuck Kobasew will miss at least three weeks and Brandon Sutter is reportedly banged up and you have the recipe for a fairly rocky road ahead of the Pens. For a squad that, when healthy, already faced questions regarding depth at the forward position, that injury list won't be easy to overcome. Sure, it's better to face such a problem early in the season but there have already been warning signs that there's an issue. Specifically, a recent three game skid in which the Penguins potted only four tallies illustrated that when the big guns aren't producing, Pittsburgh can actually have trouble scoring. 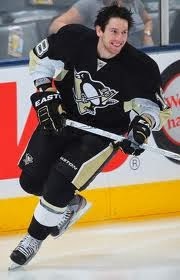 What's more, it's evident that Malkin misses Neal on his wing. Yes, he's developed some chemistry with Jussi Jokinen and he's producing points (10 in 13 games) at a rate that, for 95% of the league, would be admirable. But, by Geno's standards, things seem a little off. Could it just be a slow start? Absolutely; it wouldn't be the first of his career but there's little doubt that the absence of "The Real Deal" and the subsequent revolving door of wingers flanking Evgeni is impacting the superstar's game. 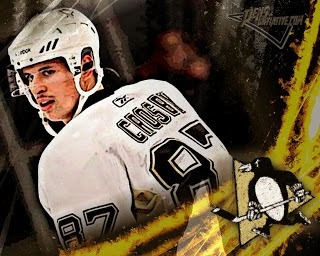 Luckily for the Penguins, Crosby is once again taking the NHL by storm. Though his torrid pace to start the season has slowed a bit, he is still producing at a clip that paces the league in scoring (21 points in 13 games). What's more, he's been in on a mind-boggling 51.2% of the Penguins' 41 markers this year. Simply put, he's carried the Pens through the first month of the season while the club fights through its latest injury epidemic. Frankly, it's been an MVP performance to this point. And while Hart Trophies aren't won in October, is it really ever too early to start the discussion if Alex Ovechkin can win the award by dominating for only half of a shortened season? Regardless, Pittsburgh sits perched atop the Metropolitan Division thanks largely to Crosby's efforts that simultaneously serve to separate the Pens' captain further from his peers. Should he continue to do so (and, honestly, who's really going to doubt him? ), the Penguins will likely overcome significant injury issues once again. Only, this time, Sid will be the one picking up the slack for the team instead of the Penguins having to step up in his absence.